If you’ve been immobilized about taking action related to the mammoth Equifax data breach, you’re not alone – many people have been. The sheer enormity and scope of the breach – 143 million records in the US alone – left many feeling hopeless. There have been big breaches before so it is easy to become numb to the significance, but this is a truly alarming incident that merits a response. Equifax, as one of the nation’s big three credit reporting bureaus, has access to your most sensitive personal data, including your birth date, Social Security number, driver’s license, address, account history and more. We’ve gathered the best consumer advice we’ve found from trusted sources on what you can do to protect yourself. Next up: This brief video from AARP is also quite good. Here’s the accompanying article: How to Protect Your Personal Data From Hackers. Finally, more excellent advice on actions consumers should take comes from Trend Micro, the digital security firm. Their Simply Security blog features a post on The Equifax Data Breach: What Do I Do Next? At the end f the post, they offer a bulleted list of action stops. Get a free credit report annually from all three agencies at annualcreditreport.com Note that this is the only federally authorized service for free credit reports. If you skipped stories about robberies in California over the holidays, you probably missed a hilarious video showing how a Los Angeles area Taco shop is biting back at crime. It all started with a late-night break in at Frijoles & Frescas restaurant on December 16. Thieves threw a rock through the window to break in, ransack the place and make off with the registers. This was all depicted on security camera videos. Clever owners Alberto and Francisco used this footage to create the following clip which has racked up more than 4 million views. See for yourself why it went viral. It’s satisfying that they mocked the burglars while doing a fun self-promo, and it’s also a clever way to get the thieves’ images out in public. The perpetrators haven’t been found yet, but here’s hoping. Meanwhile, reports say that Frijoles & Frescas is seeing increased demand for their tacos! Small food service shops and retailers like Frijoles & Frescas are generally covered for theft and robberies under BOP insurance or Business Owners Policies. But security cameras are a good idea, too – they help to deter crime and in the event that a crime does occur, can provide valuable information to help track down the criminals. Here are a few resources to learn more about business security cams. Wondering which financial documents to keep and which to shred? The Federal Trade Commission (FTC) offers this handy shredding infographic along with an accompanying article A pack rat’s guide to shredding. 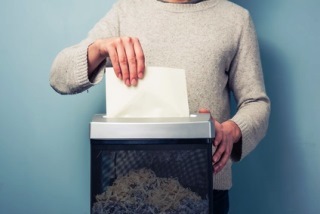 Both offer helpful advice on what security experts say you should shred immediately (ATM receipts, credit card offers, sales receipts) to what you should keep forever (birth certificates, tax returns) and everything in between. This is only one of the many great Identity Theft resources available from the FTC. Talk to your local insurance agent about whether your homeowners policy covers identity theft and if not, have a talk about identity theft insurance. The National Association of Insurance Commissioners (NAIC) offers a good primer on ID Theft Insurance. June is Online Safety Awareness Month – good timing since we are approaching peak vacation season, it’s worth setting aside a few minutes to take stock of your mobile computing safety. As you travel, every place from coffee shops to hotels will compete for your business by touting the availability of free WiFi and high-speed internet access – a benefit that is great anywhere, but that is particularly valuable when you leave the country. But when using those networks, have you ever stopped to think about how secure those connections are? And even if you are on a secure network — one that requires a log in — you may still be exposed to others who are using that same network. Could that teen sitting near you be practicing hacking skills? Could the surfer at the corner table be looking to steal your identity? 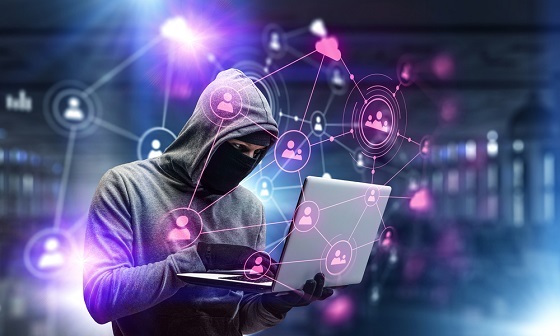 Others on the same network can access readily available tools to intercept unencrypted data that is passing over networks. Your session could even be hijacked. On a public network, you must use precautions when transmitting any information that is personal, financial, or confidential in nature. Even people who take every precaution on home and work computers can be fairly cavalier when it comes to mobile devices – it’s easy to forget that our phones and tablets are really computers and subject to the same security risks. Lifehacker has a good article on how to stay safe on public wi-fi networks – explaining how to turn off Sharing and enable your firewall on various devices, and how to automate your public WiFi security settings. It also suggests using SSL whenever possible and explains what this means and how to do it. Another suggestion is to set up a Virtual Private Network (VPN). ArsTechnica talks more about VPNs and other security issues at public WiFi hotspot. He’s been called the world’s greatest conman. Leonardo DiCaprio played him in the 2002 film Catch Me If You Can – based on his successful cons while impersonating a Pan Am pilot, a Georgia doctor, and a Louisiana parish prosecutor. And he might just be one of the best people to listen to when it comes to protecting your identity. Today, Frank Abagnale is one of the world’s most respected authorities on the subjects of forgery, embezzlement and secure documents. He’s been consulting with the FBI and with governments, businesses, and financial institutions around the globe for more than 35 years. He also advised Facebook users to never choose a passport-style photograph as a profile picture, and instead use group photographs. Click through to read the whole article and view the video interview. He’s worth listening to!